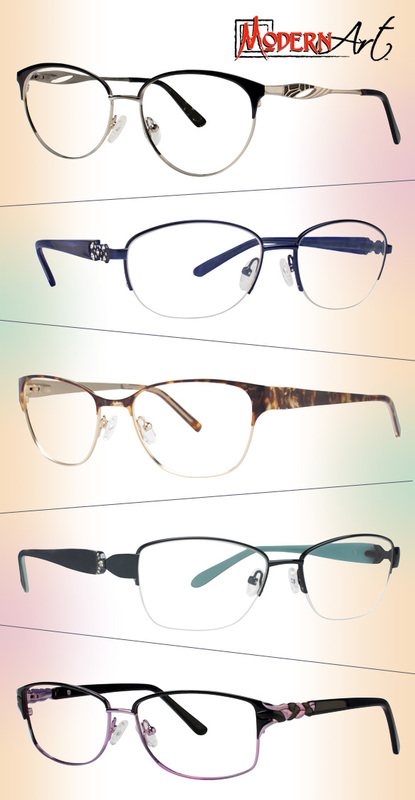 Traditional silhouettes take center stage when it comes to Modern Art’s latest collection of specs for women. Classic and semi-rimless rounds, ovals and softened rectangles run the gamut, and are updated with subtly sleek detailing—think exaggerated browlines, small jewel embellishments, matte and metallic finishes, twisted temple treatments and cut-outs. Meanwhile, a grounding palette of jet black, navy, tortoise and deep mint hues, not to mention pops of lilac, silver and gold, rounds out the line. Love what you see? Get even more deets here.